I adore this colour but can never find it :-( I have illamasqua caress which is quite similar...i LOVE pale blue! Such a nice colour! Never tried Revlon nail polish before but be sure to give it a go! 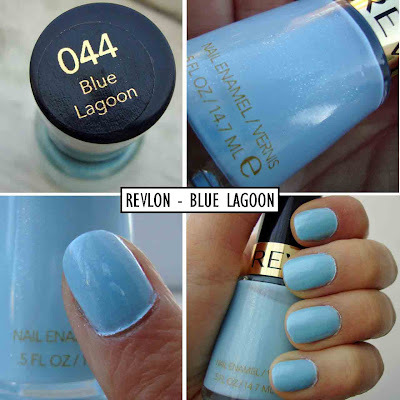 blue lagoon is pretty , im gonna look out for this colour! love the color. I hope its available here in the Philippines. This is sooo pretty! I gotta get this one! Meu nome é Jamile e sou blogueira do Brasil. Sempre leio o seu blog. Estáva um tempo sem acessá-lo e me espantei em saber que os nossos bebês são para nascer no mesmo dia!!! Estou grávida de 21 semanas e 2 dias! i wanted to try this color out! it looks so gorgeous! 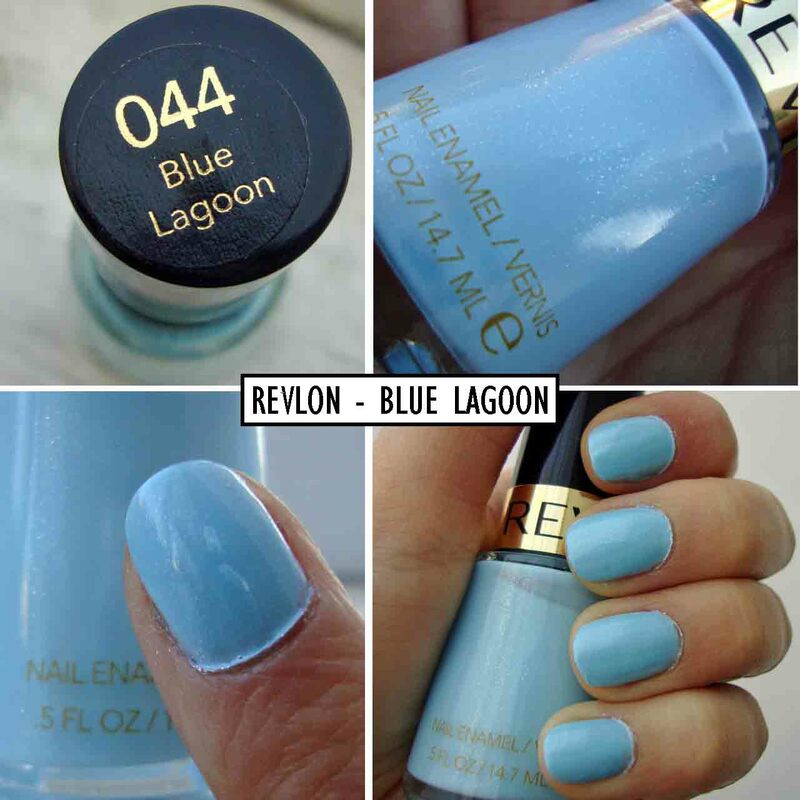 I picked up Blue Lagoon recently too, just did a comparison post on my blog of some of the baby blues that I have in my collection cause I love them. Blue Lagoon despite being very pretty to look at is kinda..gritty I guess is the right word because of all the shimmers in it. I prefer What's with the catitude which is a tad darker. nice colour! perfect for spring summer! 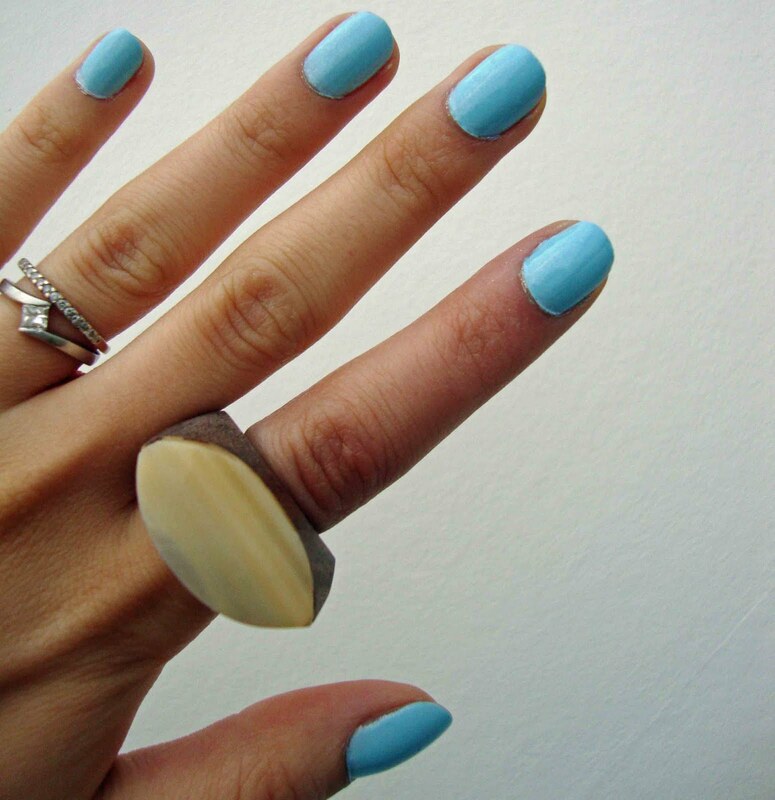 I love the colour but I find Revlon polishes are my least favourite, I agree thery're streaky & take too long to dry. I love it! It has a similar look to H&M Bella's Choice though the latter is a tiny bit darker! It looks awesome with your skin tone! I've been thinking about trying out some Revlon nail polish - and this one looks fantastic! check out my blog when you get a chance, it's more models and fashion editorial inspiration updated daily.